Shapes: Flat, V Flat, Vertical, Concave, Convex and more. Designs available as per specification. In order to cater the variegated demands of our clients, we are offering an excellent quality range of Diamond Posalux Tools. We are specialized in offering a wide range of Posalux Diamond Tools. We being a distinguished business company are highly dynamic in providing to the industry a vast gamut of Faceting Posalux Diamond Tools. As a quality focused firm, we are engaged in offering a high quality range of Posalux Jewelry Diamond Tool. Avail the most immaculate range of diamond tools from us. The array of diamond tools includes diamond flywheel, diamond hammer and posalux diamond tools. We are also engaged in the dealing of compressor pins turning tools. 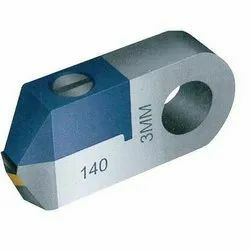 The unmatched quality and unbeatable performance of diamond tools in the respective applications has attracted national as well as international clients. With sincerity and hard work of our professionals, we have carved a niche for ourselves in this domain by providing a premium quality gamut of Posalux Type Diamond Tools. Material: Stainless Steel And Also Available In Mild Steel.